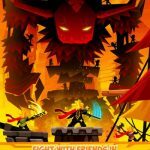 Tap Titans 2 is a new game from Game Hive for Android and iOS devices, and it’s the sequel to the original Tap Titans. For those who aren’t familiar with the original game, this kicks off where the first title left off, as the Sword Master is back to defend the world from an “all-new, more dangerous army of invading Titans.” Your mission, should you choose to accept it, is to power up the Sword Master in “new ways,” as you deal with 120 all-new Titans across ten realms. You can recruit heroes and give them loyal pets to help you stave off the Titans, unlock skills to power up and customize your heroes as you see fit, and as this is an idle clicker game, you have the option to prestige, though we’ll get to that feature later on, in case you’re new to this genre. 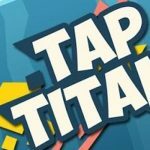 If you played the original Tap Titans, you probably have a good idea of what to do. 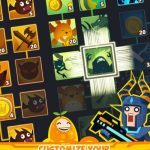 But if this is your introduction to the franchise, or maybe the first time you’ve played a clicker game on mobile, you’ll want to read on and check out our Tap Titans 2 ultimate guide. We’ve got all the tips in here for you, starting with this first part in a two-part series, though you will still want to read this guide if you’re a more experienced player who needs a little help with an aspect of the game or two. What do we mean by this? Well, as we’ve observed, you’re given more encouragement to level up your primary, or active hero. As it turns out, your other heroes, meaning the ones who attack automatically, won’t do much good, if at all, for your tapping power. This game does encourage active players even if it is an idle clicker in terms of mechanics, so if you’re going to be playing this game a lot and doing lots of tapping, you should focus on upgrading your active hero, a.k.a. Sword Master. And if there are other heroes who have tap damage multipliers, upgrade them as well. Building off on the first tip, we suggest putting some effort into your tapping if you’re going to be playing this game quite often. And as we mentioned, you should upgrade Sword Master more so than the others. But beyond that, you should also make the most out of the actions you do by using three or more fingers. There are different ways to go about this, but as long as you’re utilizing as many fingers as possible, or as many fingers as your device can hold on the screen, you should be in good shape, and dealing out a ton of punishment with your taps. While the above tip may suggest that automatic heroes are weak, they actually aren’t. They are more helpful when you’re not playing the game, say, if you’ve set Tap Titans 2 aside to focus on something more important, or if you’ve gone to sleep for the day. 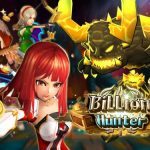 Automatic heroes, aside from helping you earn a ton of gold while offline, come with a DPS (damage per second) multiplier at level 10, with the multiplier increasing every 20 levels thereafter. So with at in mind, upgrade everyone and max them out so you can take advantage of the DPS multiplier and earn money offline. In addition to this, your automatic heroes will learn a new passive skill at specific level intervals, and as you know, passive skills are oftentimes more important than the active ones. These may result in a higher critical hit percentage, a higher mana cap, or a variety of other benefits. So if you plan to do most of your damage while at work or school or while in bed, make sure your automatic heroes are more than sufficiently leveled up! Remember the first Tap Titans? You probably had a field day with that one, using the time lapse to skip the wait and earn gold offline in a jiffy. You probably used that cheat in order to level up faster. That was well and good back then, but that was back when game developers weren’t that aggressive in catching time-lapse cheaters. This time around, Game Hive is cracking down, and we’re warning you as early as now – you can get suspended from the game until you switch the time back to normal. And if that happens, any gold collected by time lapsing will be forfeited. That’s how Game Hive designed it, but there is a workaround. You can restart the game without changing your device’s time, tap on the offline gold button while the game is starting up, and collect your gold right before you get the “Blocked Account” notification. We suggest using this workaround with discretion, as you never know – you just might be caught for collecting ill-gotten gold, and maybe receive an even stiffer sanction! Want to earn a lot of gold while the game is turned on? It’s simple. Just go to your phone or tablet’s settings, turn off your device’s screensaver (which would normally show up when your phone is idle), and leave the game on. Make sure you’ve got your device plugged into a charger so that it doesn’t run out of battery. Quit boss battles so that way, your heroes will keep fighting against the boss’ minions, and leave your device alone for as long as you want so you can farm for more gold. As this is a clicker RPG, emphasis on RPG for this tip, it also includes pets, which aren’t the cute, cuddly critters you probably have at home. We’re talking about mystical beasts that loyally serve you in battle and give you some much-needed buffs. For example, let’s talk about Nova, your starting pet who increases any damage you do by a multiplier of 1.1x. Level Nova up and you’ll see that multiplier increase over time. If you want to maximize what they can do, we would recommend switching to pets that have a tap damage multiplier when you’re active, and switching to those who have passive damage or gold multipliers, if you know you’ll be away from the game for some time. And with that said, the game only allows you to keep one pet active at a time. 7. Why Should You Level Up To Level 100? The number 100 can be considered a magic number of sorts in Tap Titans 2. At this point, the Sword Master will learn Heavenly Strike, which is his first skill. This attack is particularly powerful, as it’s capable of causing 450 times the usual tap damage when activated. (As the Sword Master has a damage per second rating of about 7,000 at level 100, the Heavenly Strike is capable of dealing about three million damage.) As such, this skill will come in very handy if you’re taking on a boss that’s giving you an especially hard time. And when it comes to all of the game’s earlier bosses, Heavenly Strike should do a number on these lower-ranked creatures, but keep in mind that this is a very high-mana action; it costs 27 mana to execute, which is close to 80 percent of your initial cap of 35 units. 8. To Upgrade Existing Relics Or Buy New Ones? There will come a point in the game where you will be better off upgrading existing relics and artifacts than buying new ones. Choose the artifacts/relics with the most significant effect, and upgrade them so that they can give all of your heroes some added damage, may it be active or passive. You’ll want to balance the cost of upgrading and the cost of buying a new relic or artifact if you want to prestige at a better time and in a more practical way. This may sound like an overly simplistic tip, but it’s very important, especially if you’ve been dealing with a boss for some time but couldn’t quite beat him. Always check your mana stats, and only enter battle if it’s at maximum. You might not have enough to do one Heavenly Strike, and that’s something you can ill afford if against a tough boss. And, to reiterate what we did say, you should have the right pet fighting alongside you. You should also outfit your heroes with the best possible gear for better chances of winning. The game can also give you earnings in the form of hatched pets when you’re not playing the game. That’s similar to the offline gold earnings you will earn when not logged in, but this time around, you’ll be getting a free pet. And if you get a duplicate, that’s just fine – the dupe will serve as a way to level up the existing pet that matches. We’re now talking about specific examples of how pets can help you in this game, and for starters, we shall look at Polly, who is a pet that could multiply the amount of gold you can earn. If you’ve got Polly active, the gold that appears when you’ve killed an enemy or if the fairy drops the gold will be impacted positively. So you may want to switch to Polly right before you tap on the fairy or hit the final blow that would kill a Chesterton or any other enemy; that will allow you to boost your loot, though you’ll want to switch to another pet once you’ve collected those coins. 12. How Is Pet Damage Calculated? When it comes to pet damage, their damage stats are based on a given percentage of your tap damage; that means boosting your taps would also give your pet something more powerful. And that’s where our example of Phobos comes in. This pet multiplies the tapping power, and if you want to use him easily, yet smartly, you should multiply the pet damage by the tap power multiplier, then multiply that figure by the tap percentage. That makes Phobos one of the more dangerous and productive pets you can go with. The word “prestige” is usually a noun. But in the world of clicker games, it’s a verb that means resetting your game and losing most of what you had gained prior to the process,, but getting the “prestige” of additional aids to your ultimate goal (in this case, artifacts) that will help you. That’s what you’ll need to do if you want to save on the wait times between play-throughs while becoming more powerful. 14. What’s The Deal With The Weapon Upgrades? How do you go about weapon upgrades in this game? We’re glad you asked, as these upgrades are similar, but different in the end when compared to the weapons you find in the equipment section. Weapon upgrades work not by upgrading those items, but by improving a specific hero’s DPS. And if you complete all weapon upgrades in a set, you will be rewarded with a huge global DPS multiplier for everyone in your team – that’s 10x DPS, for instance, if you collect a complete level 1 weapon set. Looking for even more goodies for free? Go ahead and play tournament mode when you could. If you join this competition, you could get to prestige before you reach level 600; that won’t get you too many artifacts, but as you keep on prestiging, you will take less and less time before getting the next relic or upgrade. Enter the tournament if you’re just a few episodes short of the next relic/upgrade; it could win you goodies such as diamonds, pet eggs, and weapon upgrades.